Dr. Eric Ibegbu always appreciates feedback from his valued patients. To date, we’re thrilled to have collected 411 reviews with an average rating of 4.91 out of 5 stars. 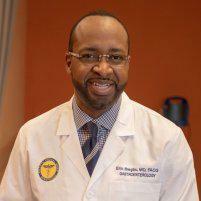 Please read what others are saying about Dr. Eric Ibegbu below, and as always, we would love to collect your feedback. It was quick, painless, and efficient. Quick + easy. Over before I knew it! Dr. I & Staff were great!!! Very quick. No memory of procedure. Well done. Had a great experience. Always professional and friendly. Quick in and out. Staff extremely friendly! The Doctor made the procedure very clear on what to expect! The staff was super sweet and professional! Very Pain free. Excellent staff , very friendly and professional. Nice environment.